The captain of a sinking 75-foot fishing boat died after making a dramatic mayday call that saved his three crewmembers in the Gulf of Alaska. Robert Royer, 54, captain of the Northern Belle, made the distress call over the VHF at 5:30 p.m. April 20, according to Petty Officer Sara Francis, a Coast Guard spokeswoman. Northern Belle was taking on water and sank within three minutes about 50 miles south of Montague Island, says Francis. "The captain wanted to be the last one in the water and he went in on his own," she says. 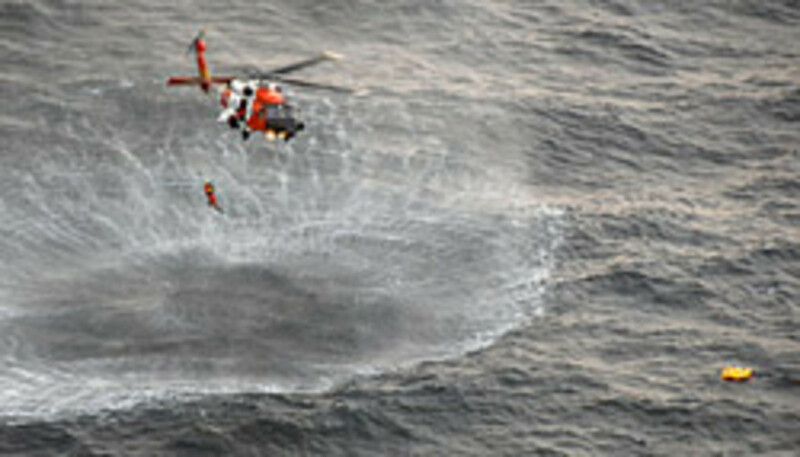 Click play for the mayday call and footage of the rescue. Mobile users, click here to watch on YouTube. Royer died after suffering head trauma while getting off the boat, according to published reports. "To his great credit, he gave a precise position - a starting point for us," says Cmdr. Joe Deer, operations officer of Air Station Kodiak. "His actions, based on everything I&apos;ve learned, saved his crew. Had he not gone into the cabin and made the distress call, the outcome of this would have been very dire." The survivors - Nicole Esau, 36, of Ketchikan, Alaska; Tod Knivila, 48, of Seattle; and Robert Jack, 52, of Federal Way, Wash. - spent more than two hours in the 40-degree water. Seas were running 3 to 5 feet, and air temperature was 36 F. They were able to put on survival suits before Northern Belle went down, says Francis. 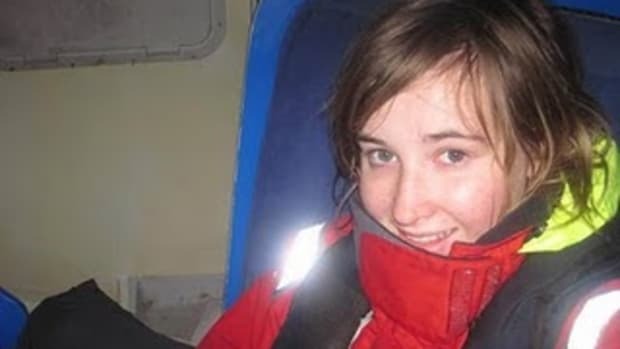 "The ship did have a life raft that deployed, but it drifted away from the survivors more quickly than they anticipated and they couldn&apos;t get to it," she says. A Coast Guard HC-130 Hercules aircraft arrived first and deployed life rafts, says Francis. Two of the survivors held on to large pieces of lumber that had been aboard the Northern Belle and the third was able to climb into one of the Coast Guard life rafts, she says. A rescue swimmer found Royer floating in his survival suit. After Royer was airlifted, the survivors, who were suffering from hypothermia, were also picked up by the Coast Guard MH-60 Jayhawk helicopter. The Coast Guard received no EPIRB distress signal and no beacon was found in the vessel debris, says Francis. As a commercial fishing vessel, Northern Belle was required to carry an EPIRB. Francis says the investigation into the cause of the sinking will take up to a year to complete. Learn how to place a proper mayday call. Click here.